In order to kill flying termites, all that is needed is a vacuum cleaner or liquid spray, such as a local insecticide. 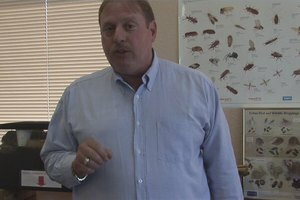 Find out how to get rid of subterranean termites, which may be the real problem, with help from a certified pest control operator in this free video on pest control. 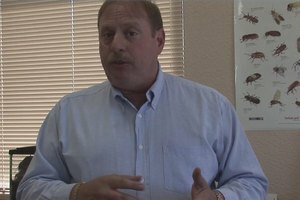 Hi friends, I'm Mark Govan with ABC Pest Control in Largo Florida. And I've had a question given to me on a regular basis, and that's how do I get rid of flying termites. 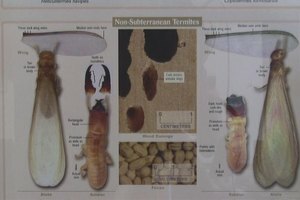 Well, a lot of people notice that there are two different types termites that we generally see. One of those termites is called dry wood termites, and they are brown in color. Another variety is called subterranean termites, and when they swarm you are going to know it. Because they swarm by the thousands. If you see thousands of little black termites lying around in your home, those are called the reproductive cast of the termite colony. Meaning that the ones that are actually doing the damage are still inside the wood feeding on your home. But how do you kill the winged reproductives? Well they are pretty easy to go ahead and kill. All you need to do is get a vacuum cleaner or something, and you can vacuum them up with a vacuum cleaner. Or if they are outside the home, using any type of a liquid spray, spray it on top of the termites, such as a local insecticide or something, you can go ahead and kill all the winged reproductives. But remember, you still haven't focused or gotten rid of the actual problem in the home. 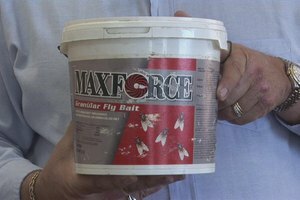 If you need to get rid of the termites in the home, and there are subterranean termites, well then you may need to use a product like this. This is called Termidor, probably one of the most effective termite control products, which can be used for both dry wood termites and subterranean termites. 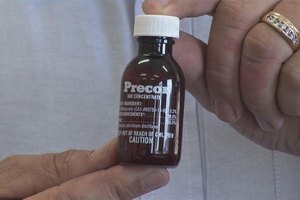 But this product when used by a professional can eliminate your entire colony within your home. Then you won't have to worry about anymore winged reproductives. I'm Mark Govan, with ABC Pest Control in Largo Florida, hoping you have a pest free day.